Developing a reliable funding model is key to every organization’s efficacy. At Lifewater, we’ve developed a funding model that brings together the donations of three key groups to create a Healthy Village that lasts for generations. Grantors, individual donors, and the rural communities themselves each play a key part. Here’s how it works: Grantors fund organizational capacity things like field offices, new staff, and vehicles; individual donors support specific projects like villages and schools, and rural communities contribute 10-20% of the cost of their own water project. Together, everyone plays an important role in ensure lasting change. Bukoba Central village’s safe water project is just one example of how each group works together. In rural Uganda, Bukoba Central village and others in the district of Mayuge were in need of safe water. A 2017 survey conducted by Lifewater revealed that only 4% of people in Bukoba Central’s district had a safe water source, and many had not been reached with the love of Christ. This was a place of great need, with families eager to learn how to live healthier lives. 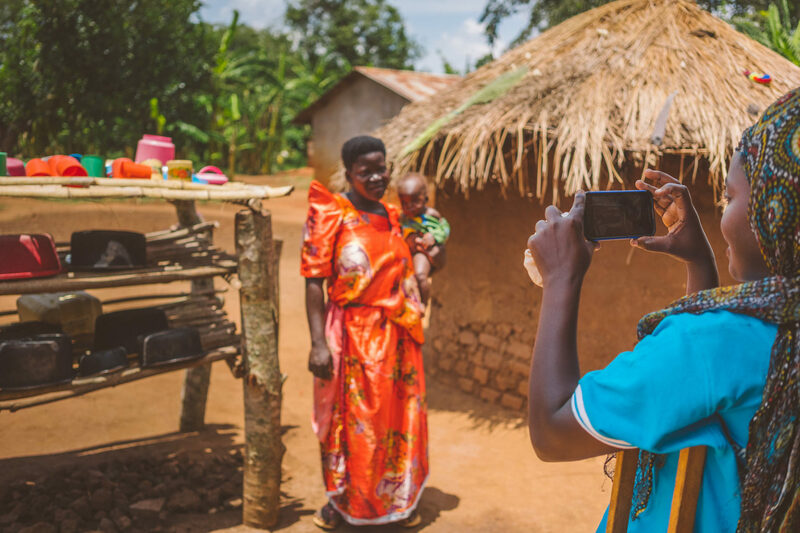 Lifewater hires all in-country staff, recruits local leaders to be health promoters in every village and home, and establishes offices in each district so staff can connect with the communities they serve. The program in Mayuge, Uganda required significant capital investment to get started . Staff needed to be hired and trained. Vehicles were needed to reach Bukoba Central and villages surrounding it; every village is remote, rural, and difficult to access. Staff needed phones, vehicles, and computers to conduct Healthy Home evaluations and record the results of regular water quality testing. Lifewater staff use their phones to record important data and progress photos on a cloud-based app. That’s when an anonymous foundation based in California provided Lifewater with a 3-year capacity-building grant to help the organization grow. This grant invested in the hiring of staff and equiptment to launch the Mayuge program that would serve 25,000 people by 2020. Around the time Lifewater identified Bukoba Central village and dozens of other villages that needed safe water in Mayuge, Uganda, Lifewater donor Kristine Delano learned the lifesaving role that clean water and hygiene practices have on communities in Sub-Saharan Africa and Southeast Asia. When the Delano’s well broke on her property in Maine, the mother of three and NextShares Solutions Managing Director went online to look for someone to repair it. She discovered Lifewater and was inspired to sponsor a village water project. The family’s generous gift funded a new water source, hygiene and sanitation training, plus gospel outreach for the village of Bukoba Central. Bukoba Central, knowing that they would receive their own safe water source after 90% of their homes were certified “healthy” by Lifewater staff, began to promote five healthy habits to reduce the spread of disease. Together, the community contributed 10-20% of the cost of their water source. The contribution can be given through materials like rocks, bricks and cement, labor, or a monetary amount. A community loads bricks and rocks into a wagon. Vehicles funded by the anonymous foundation allowed Lifewater to reach the village. The phones they sponsored allowed HQ staff to receive vital information about the status of the programs. The Delano family gave to fund the water source and health trainings that help to sustain hygiene practices and build the water source. 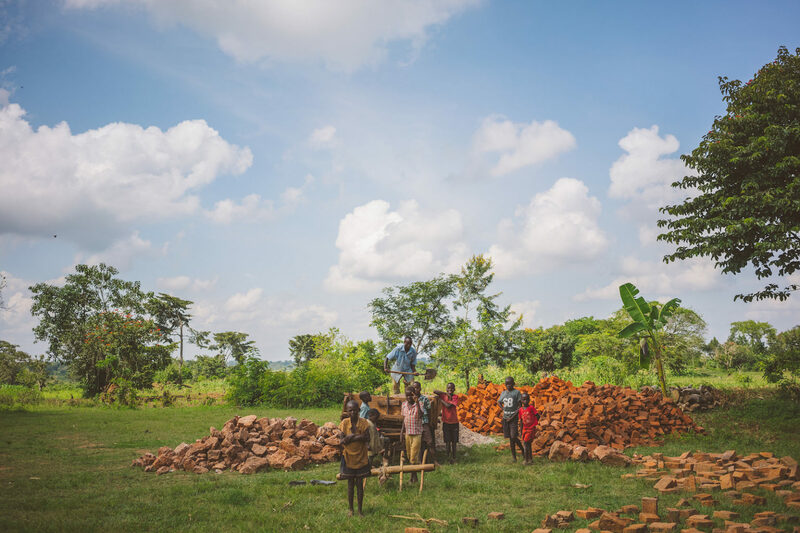 And, the village themselves contributed to the future of their children by providing construction materials and setting up a savings account plan for future repairs. In the end, Bukoba Central village experienced drastically improved health and a greater sense of community unity. When they heard about a cholera outbreak in a neighboring village, their thankfulness overflowed, and they were inspired to share the life-saving knowledge they had learned. They went to their neighbors and taught healthy habits learned from Lifewater staff and funded by the Delano family. The cholera outbreak ceased in the neighboring village. From the foundation to the individual donor and the community themselves, everyone plays a vital role in creating and sustaining transformation in rural villages. A sustainable funding model ensures that everyone works together to bring about lasting change.